This is a very special birthday cake for a very special girl who turned 18 years old. It’s not every day that you turn 18 years old, so you need to have a very special cake. Most kids that I know request chocolate as a main ingredient in cookies and cakes, but let me tell you this is a double chocolate cake, with extra chocolaty goodness. 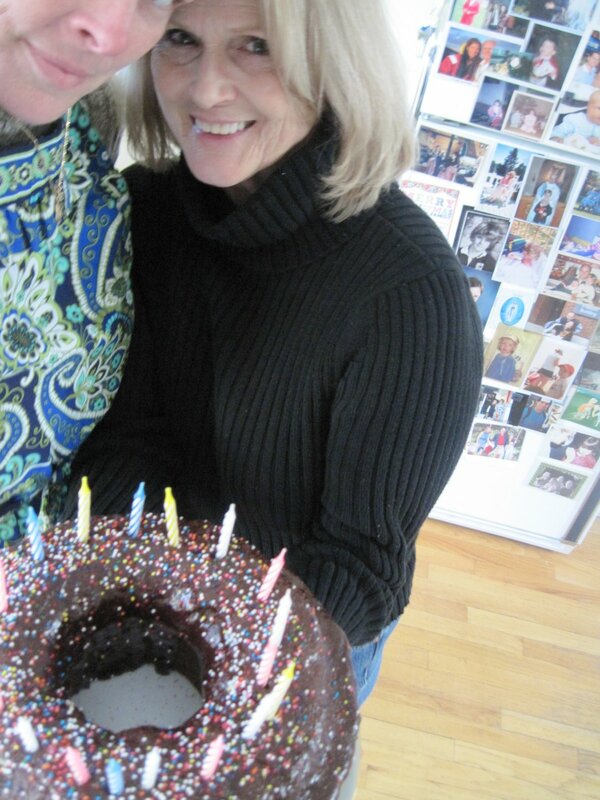 The birthday girl loved my Chocolate Macadamia Nut Banana Bread so much that she requested it for her birthday cake. Of course I was thrilled and honored to make whatever she requested, but a bread for your birthday? I wasn’t sure, so I thought and I thought and I went through every recipe of every blogger that I know looking for the perfect Chocolate Banana Cake, and low and behold, I found Dragon’s Kitchen Chocolate Banana Cake! It sounded absolutely delicious and perfect for the Birthday Girl. 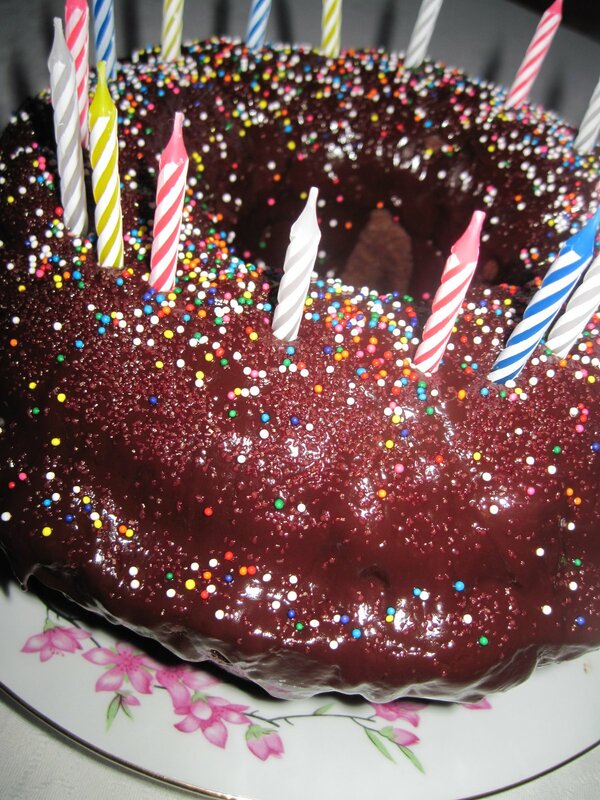 So on this special day I created an amazing cake, step by step, it came out like perfection. I was swimming in the scent of chocolate aromatherapy…….heavenly. I skipped around the kitchen so pleased with myself that she would love her cake. The Birthday Girl’s Nonna arrived with candles and delivered her cake right to her. The phone rang with a very excited young lady on the other end, exclaiming with glee that it was perfect and lots of thank yous. 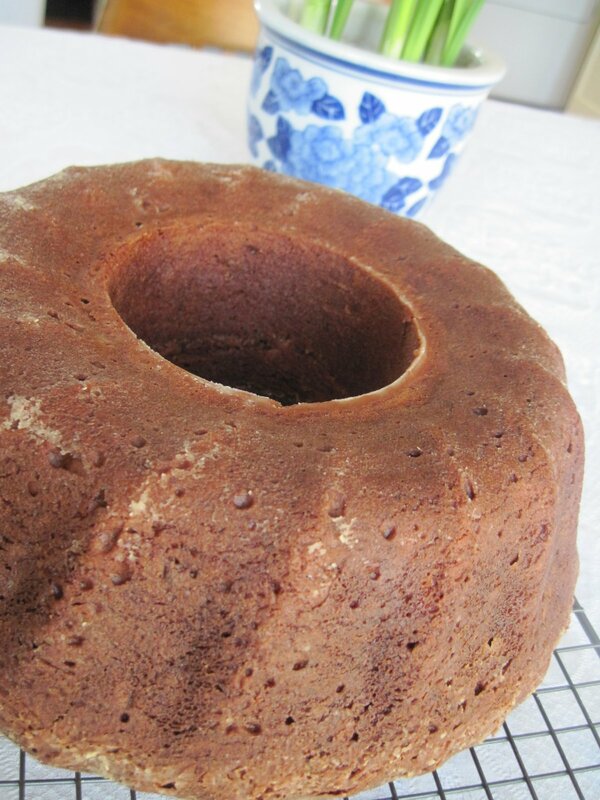 One piece of advice: Allow Bundt Cake to cool completely before turning out of bundt pan. Had a hard time deciding which side to frost. 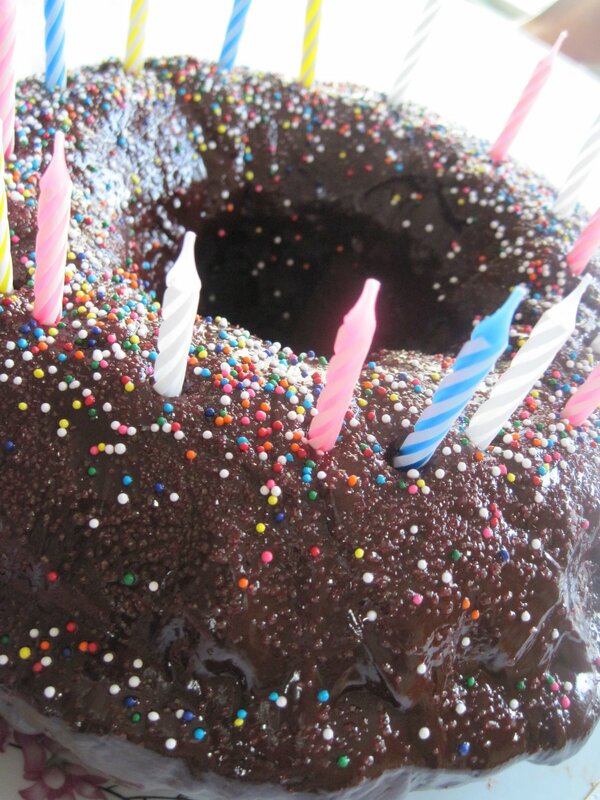 Chocolate Glaze dripping everywhere, I mean everywhere…..free tastes!! I took this incredible picture of Nonna and myself, obviously, I have to stick with food photos!! 1. Preheat oven to 325°. Generously grease and flour a 10-inch Bundt pan. 2. In a bowl, sift flour with baking powder, baking soda, salt and cocoa; set aside. 3. In a large mixing bowl, beat eggs until light in color and fluffy. Gradually add the sugar. Add butter and vanilla. Beat until well blended. 4. With mixer at low speed, beat in the sifted dry ingredients in 3 additions, alternating with the sour cream. 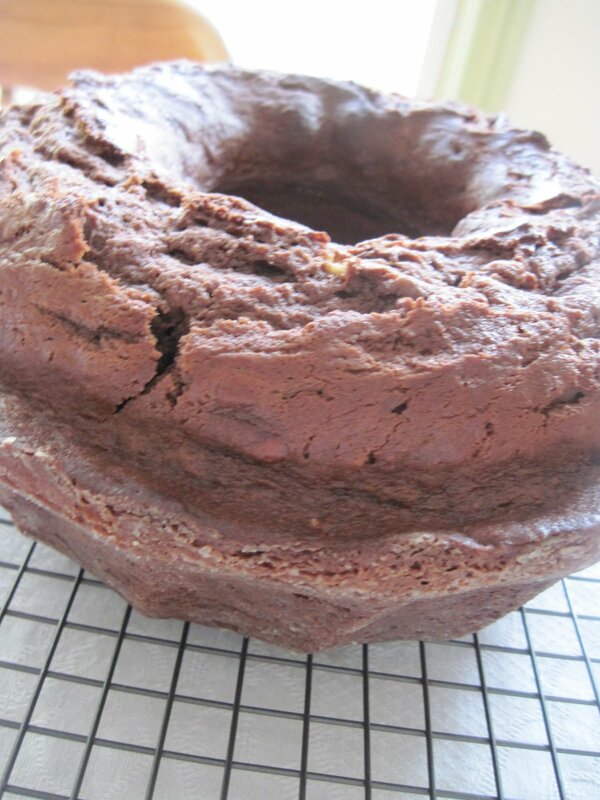 Fold bananas and melted chocolate into the cake batter; thoroughly combine. 5. Spoon cake batter into prepared Bundt pan and bake for 55 to 60 minutes, or until a wooden toothpick inserted in center comes out clean. 6. 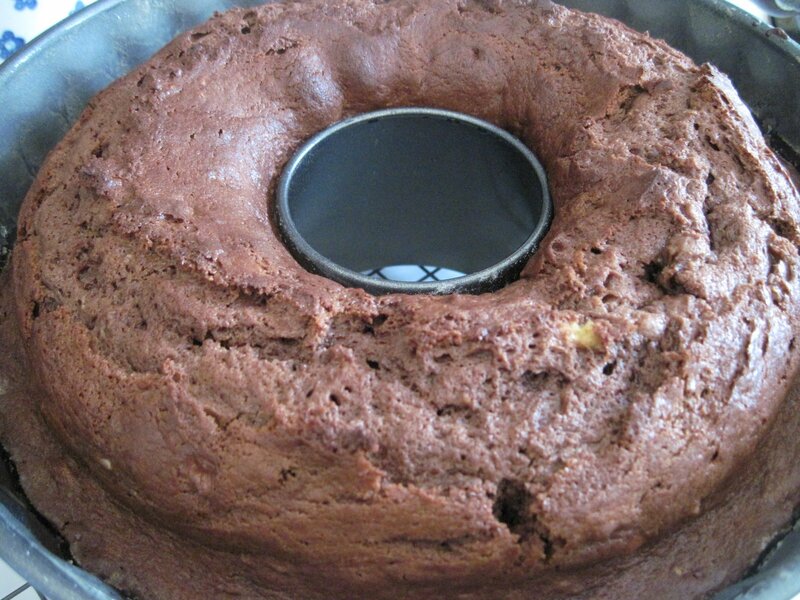 Allow the cake to cool in the pan for 15 minutes. Invert the cake onto a cooling rack and allow the cake to cool completely. 7. 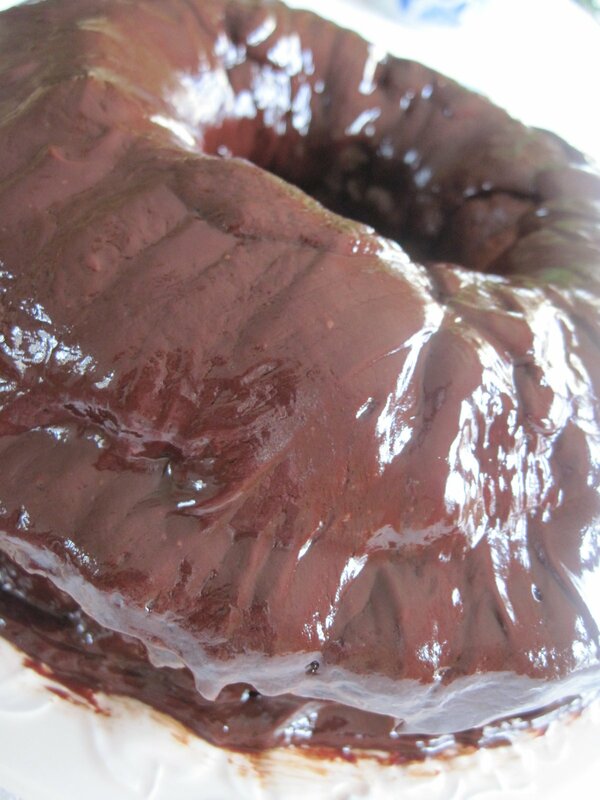 While the cake is cooling, prepare the chocolate glaze. Heat the cream until it just comes to a boil. 8. Pour the cream over the chocolate and stir until the chocolate is melted. Set aside until the cake is completely cooled. 9. When the cake is completely cooled, cover the top of the cake and sides with the glaze. Refrigerate the cake for at least an hour to set the glaze. Your cake looks fantastic! There really are so few combinations as good as chocolate and banana1 I'll bet it is delicious! This is really lovely. Chocolate and bananas is such a wonderful combination. Kudos! What a nice birthday cake! Bananas make such a moist cake. Dear Kim Bee,Thank you so much, love the combination also, it was a really fun cake to make, so moist and deliciously chocolate. Thanks for linking this up my Nettie! Not only does it sound amazing, it looks beautiful! I'm now following you and off to stalk those chocolate cake links! Mmmm…I love the chocolate/banana combo. 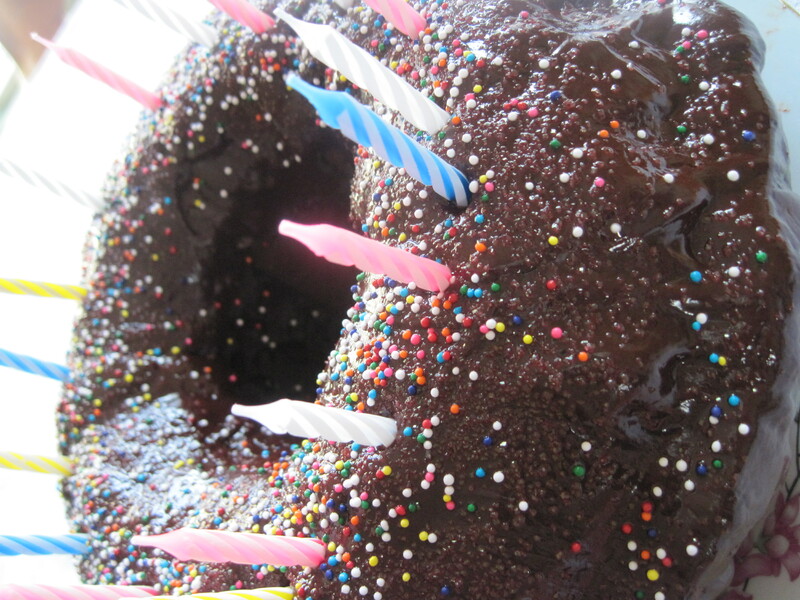 Your glaze looks divine, and those rainbow sprinkles are just about the happiest little things ever! Hi, I clicked on lovely blog award, curious, and OMG, Cake Heaven! 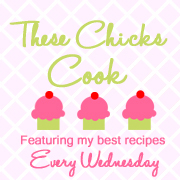 I'm Connie @ http://hotflashncraftn.blogspot.com/. I'm your newest GF friend. Stop by and be my friend, too. Oh yea I wanted to say, love the name of your blog, I'm gonna assume your last name is Moore? My maiden name is Moore, my Company Name, See Moore Designs. I have a sister Leslie, we called her Moore of Les!